Continuing with the pumpkin theme, I thought I would share a little known recipe for a super easy, vegan pumpkin cake from the beautiful Greek Aegean island of Sifnos. I associate the island of Sifnos with my first summer vacation without my parents (but that’s another story), but apart from the wonderful beaches and the charming towns, Sifnos is known for its good food and even better sweets. One of those being Loli. Now Loli means crazy in Greek, that’s right, the crazy cake. Apparently some stories say that they called it that because of all the ingredients they basically threw in a bowl and just mixed them all together… crazily. And that’s exactly how you make this cake: you put all the ingredients in a bowl and then you mix it it, empty it in a pan and bake. 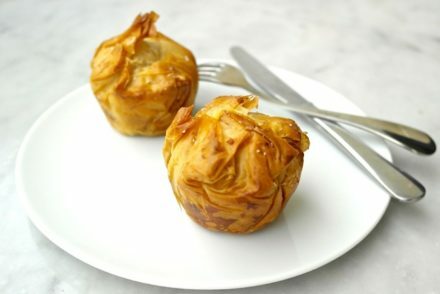 This is a vegan recipe or as the Greeks call it nistisimo meaning you can eat it during Greek orthodox fasting, so in other words it does not contain any animal products. 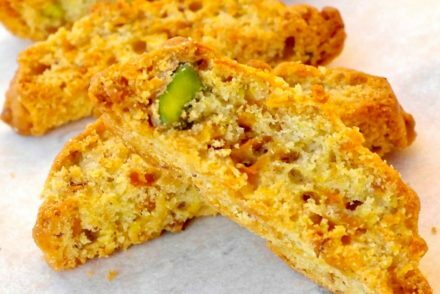 Greeks have many vegan recipes because of the fasting, and the desserts were mainly made with olive oil as is this cake as well. 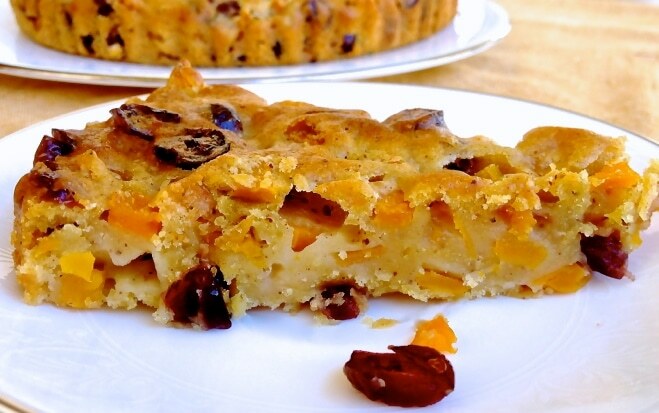 So this cake contains mainly olive oil, pumpkin, raisins and a bit of sugar, making it a pretty healthy dessert, rich in good fats, fiber and antioxidants from the dried fruit and the pumpkin. 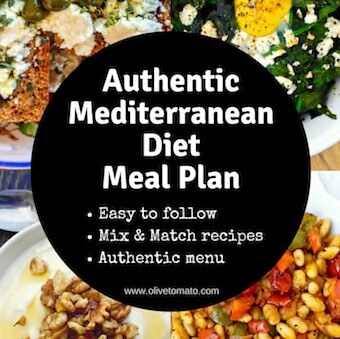 I took the original recipe and made some small changes although the original is wonderful, I thought these little changes would give it a slightly different taste without changing the nutritional value. 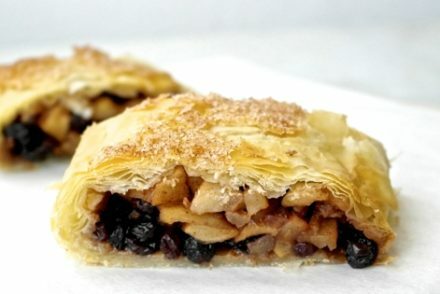 I used dried cranberries instead of raisins which added a bit of color and tanginess. I also added a bit of ground ginger and nutmeg and I did not add cognac as I wanted my children to eat this too, and according to a study by the US Department of Agriculture some amount of alcohol remains even after baking. In any case, you can use cognac or maybe rum. And sesame seeds are added on the surface, I did not add any this time because I did not have on hand. I don’t need to tell you that my sons loved this, they were happy and I’m even happier as this cake contains 1 pound of pumpkin plus 5 ounces raisins (or other dried fruit) which is a total of 1.3 pounds of vegetables and fruit, corresponding to a serving of fruit/vegetable per piece, not bad! While making this, the only thing that can be considered somewhat time consuming is cutting the pumpkin in cubes, bit it shouldn’t take more than 5-10 minutes. I also mixed the dry ingredients first. Mix flour, spices, sugar, baking soda in a bowl. Mix all wet ingredients in a larger bowl (except pumpkin and raisins). Add the dry ingredients to wet ingredients mix with a spoon. Add the raisins and blend. Add pumpkin and blend. Spread the mixture with a large spoon or spatula in a 9 inch round pan that you have brushed with a bit of olive oil. I use springform pans. Bake for about an hour. Check with a toothpick, it should be clean. Let it cool. The cake will be moist and may seem a bit "wet" on the bottom. This is normal, it will dry once it cools off. Just made this last night… SO GOOD. Thanks so much for this wonderful recipe. I didn’t have pumpkin so I used butternut squash, which worked well. Thanks Carol! Glad you enjoyed it. Hope you enjoy it Pamela! Do you think canned pumpkin could be used rather than cubed pumpkin?